RIGHTEOUSNESS is simply God’s rightness. God’s rightness in a man’s soul, God’s rightness in a man’s spirit, God’s rightness in a man’s body. In order that man may be right or righteous, God imparts to man the power of His Spirit. That Spirit contains such marvellous and transforming grace that when received into the nature of man, the marvellous process of regeneration is set in Motion and man becomes thereby a new creature in Christ Jesus. The deepest call of our nature is the one that will find the speediest answer. People pray, something happens. If they pray again something still deeper occurs within their nature, and they find a new prayer. The desire is obtained. In My ministry in South Africa I had a preacher by the, name of Van Vuuren. That name means “fire”. Van Vuuren had been a butcher in the city of Johannesburg and was given up to die of consumption. His physician said to him: “You have only one year to live.” So he gave up his business and went down into the country to develop a farm, that his family might be able to support themselves. After he left the city many were baptised in the Holy Spirit and healed, and so forth, and his friends wrote him a letter and “So-and-so, who was sick, has been healed; So-and-so, your niece, has been baptised in the Holy Spirit and is speaking in tongues by the power of God; So-and-so has been blessed of God,” and so on. As he thus gave himself to God, and opened his soul to heaven, suddenly the Spirit came upon him and he became the most transformed creature I ever knew. God moved into the man. For eighteen days he walked as though overshadowed by the Spirit of God, God talking continuously to his soul, directing him to this one and that one, judges and lawyers, statesmen and physicians, rich and poor. When he would reach them the Spirit of God would pour forth through his soul such messages of God that in many cases they fell down and wept. This is the point of the story I wanted you to get. He said for eighteen years he had prayed for the real conversion and transformation of his wife, and it had not come to pass. But that morning after the Lord had baptised him in the Holy Ghost a new prayer came into his heart, a new depth had been touched in the man’s nature, and from that great inner depth flowed out to God a cry that had been going out from his soul for years. But that morning the cry of God touched the soul of his wife, and before he reached the house she had given her heart to god. In three months all his family, his wife, eleven children and himself, had been baptised in the Holy Spirit. The spiritual action that takes place within the nature of man, that strong desire for God, His ways, His love, His knowledge, His power, causes everything else, perhaps unconsciously to himself, to become secondary. Politicians talk about a paramount issue. That is the issue that stands out by itself above all others and is the greatest and largest and of most interest to the nation. It is the paramount issue. The soul has its paramount issue, and when the desire of your heart is intensified so that it absorbs all your energies, then the time of its fulfilment is not far away. That is the desire that brings the answer. It is creative desire. That is the reward of persistence, of a desire toward God. Your nature may have sent out just as deep a cry to God as my nature has, and still is doing. Is the cry to God continuous? Gradually as the forces of life concentrate themselves in line with that strong desire, the Spirit of God is operating through your heart, is being directed by that desire and concentrated on a particular line, intensifying every day because of the continuous desire of the soul to possess. 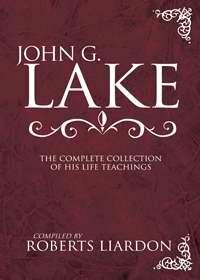 The effect of that concentration of the Spirit of God on that soul is that by the grace of God there is brought to your soul all the elements necessary to formulate and create and fulfil the desire of your heart, and one morning the soul awakens to discover that it has become the possessor of the desired object. Jesus was bringing forth and establishing in the world a new character, a character that would endure forever, a soul quality that would never fail, a faith that knew no possibility of defeat. In establishing such a character Jesus saw that the character could only be established in the depth of a Man’s being, in the very spirit of his being. Then when once the soul was grounded in the paths of righteousness, then all the activities of the nature would be along righteous lines, and in harmony with the laws of God. God has a call in His own Spirit. If we study our own spirit we. will understand the nature of God. The call of the Spirit of God is the call of righteousness, the call of truth, the call of love, the call of power, the call of faith. Over in Topeka, Kansas, in the year 1900, one morning a man stepped off the train, walked up the street, and as he walked up a particular street he stopped in front of a large fine dwelling, and said to himself, “This is the house.” A gentlemen who happened to be out of sight around the building said, “What about the house?” and this story came out. He said: “For years I have been praying God for a certain work of God among Christians known as the Baptism of the Holy Ghost. In my researches I have visited every body of Christian people in this country that I knew of that claimed to be possessors of the baptism, but as I visited and examined their experiences and compared it with the Word of God, I became convinced that none of them possessed the Baptism of the Holy Ghost as it is recorded and demonstrated in the New Testament. Beloved, in three weeks eighteen persons were brought to that house. They formed a little company and began to pray. The company grew to thirty-six. On New Years night, 1900, the Spirit fell on that company, and the first one was baptised in the Holy Ghost, and in a few weeks practically the whole company had been baptised in the Holy Ghost. And from there is spread over the world. There is a call of faith in this church, that is reaching away out, far out and in unaccountable ways. Away at the other end the Spirit of God is revealing truth to this soul and that soul, and they are moving into this life, and coming into unity with this church. Is there a note of despair- in your heart? Have you not obtained the thing your soul covets? Have you desired to be like that sinless, unselfish, sickless One? God will answer the call of your soul. You shall have your hearts desire. But before that call becomes answerable is must be the paramount call of your being. It is when it becomes the paramount issue of the soul that the answer comes. Jesus knew. That is the reason He said, “Blessed are they that hunger and thirst after righteousness, for they shall be filled.” There is not a doubt about it. All the barriers of your nature will go down before the desire of the soul. All the obstacles that ever were will disappear before the desire of you soul. All the diseases that ever existed in your life will disappear before the desire of your soul, when that desire becomes the one great purpose and prayer of your heart. I love to think of one great soul: he was not a great Christian, but he was a great soul. 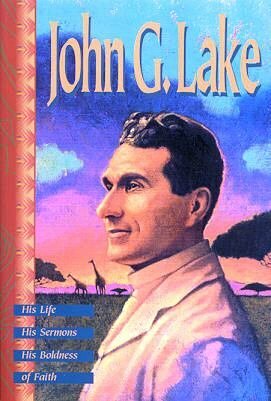 He was the son of a Church of England clergyman, and came to South Africa, thinking he might get his system back to a normal state of health. He came to the SSS diamond mines at Kimberley and took a pick and shovel and worked with them long enough to understand diamonds. Indeed, he studied diamonds until he knew more about them than any other man in the world. Then he went to studying Africa, until one paramount desire grew up in his soul. He said, “I will plant the British flag across the continent.” Eventually, this is what he did. He told me that in the beginning his vision extended to the Vaal River, then to the Zambezi and then across the trackless desert. He also planned a railroad six thousand miles long. John Cecil Rhodes died before he could fully bring to pass the paramount issue of his soul! Oh, if 1 had one gift, or one desire that I would bestow on you, more than all others, I would bestow upon you the hunger for God. “Blessed are they that hunger.” Hunger is the best thing that ever came into a man’s life. Hunger is hard to endure. It is the call of the nature for something that you do not possess. The thing that will satisfy the demands of the nature and the hunger of a man’s soul is the call of his nature for the Spirit of life that will generate in him the abundant love of God. Years ago I was one of a family of which some member was an invalid in the house for thirty-two consecutive years. During that time we buried four brothers and four sisters. A call arose in my nature to God for something to stay that tide of sickness and death. Materia Medica had utterly failed. One after another the tomb stones were raised. The call arose in my soul for something from God that would stem the tide and turn it backward. Nothing else but healing could have come to my life, no other thing but the knowledge of it. God had to bring from the furthest ends of Australia the man who brought to my soul the message of God and the manifestation of His power that satisfied my heart. And healing by the power of God became a fact to me. We live that our souls may grow. The development of the soul is the purpose of existence. God Almighty is trying to obtain some decent association for Himself. By His grace He is endeavouring to have us grow up in His knowledge and likeness to that stature where as sons of God we will comprehend something of His love, of His nature, of His power, of His purpose, and be big enough to give back to God what a son should give to a great Father - the reverence, the love, the affection that comes from the understanding of the nobleness and greatness of His purpose. Great Britain produced two marvellous statesmen, a father and his son. They are known in history as the old Pitt and the young Pitt. The young Pitt was as great a statesman as his father. The son grew to that largeness where, catching the vision of his great father his soul arose to it, and he became his father’s equal. As I walked through the House of Commons I came across the statues of the old and young Pitt. I have forgotten the inscription at the bottom of the elder Pitt’s statue, but at the base of the son’s statue were these words: “My father, the greatest man I ever knew.” Do you see the call of his soul for his father’s largeness, for his father’s nobility, for his father’s strength and influence? “Blessed are they that hunger.” Bless God! What are we hungering for a little bit of God, enough to take us through this old world where we will have the dry rot and be stunted and then squeeze into heaven? “Blessed are they that hunger” for the nature and power and love and understanding of God. Why? They shall be filled. Not long ago I stood before great audiences of the churchmen of the world. They said, “Through all your ministry there is one note. It is the call for power.” They said, “Do you not think it would be better if the church was calling for holiness instead of power?” And I replied, “She will never obtain the one without the other. There is something larger than holiness. It is the nature of God.” The nature of God has many sides. From every angle that the soul approaches God it reveals a new and different manifestation of Him: love, beauty, tenderness, healing, power, might, wisdom, and so on. So the Christian who hungers and hungers, bless God, and lifts his soul to God brings God down to meet his own cry. The spirit of man and the Spirit of God unite. The nature of God is reproduced in man as God purposed it should be. There are no sick folk in God. There is no sickness in His nature.